One Dallas native followed her dreams all the way to the Great White Way! 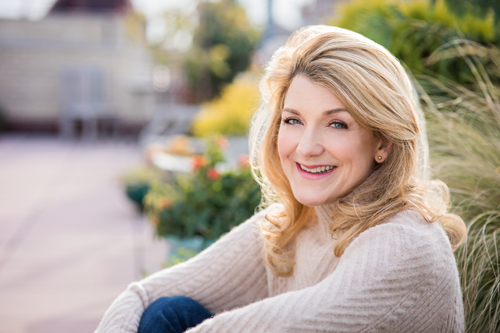 Tony Award® winner Victoria Clark was named the 2018 recipient of the Dallas Summer Musicals (DSM) High School Musical Theatre Awards (HSMTA) Fullinwider Award, honoring her for her impact in the Dallas theater community and beyond. Clark is a Dallas native and graduate of The Hockaday School and Yale University, where she participated in the drama programs. The Leah & Jerome M. Fullinwider Award is named after Leah and Jerry Fullinwider, the founding donors of DSM’s High School Musical Theater Awards. The award was created in 2016 to honor the Fullinwiders for their initial gift of $100,000, which helped fund and produce DSM HSMTA and College Scholarship program in 2012. Clark won the Tony Award® for “Best Leading Actress in a Musical” for her role in The Light in the Piazza, in addition to the Drama Desk and Outer Critics Circle Awards. She received Tony Award® nominations for her roles in Rodgers and Hammerstein’s Cinderella, Sister Act and Gigi. Clark’s twelve Broadway credits include the original productions of Sunday in the Park with George, How To Succeed…, Guys and Dolls, Urinetown and Cabaret and the original casts of A Grand Night for Singing and Titanic. Performances in Broadway plays include When the Rain Stops Falling (Drama Desk Award nomination) The Marriage of Bette and Boo, A Prayer for My Enemy and The Snow Geese. Clark’s films credits include Wanderland, The Happening, Cradle Will Rock, Tickling Leo, Harvest, Main Street and Archaeology of a Woman. She has had television roles in Homeland, Mercy, Law and Order, The Good Wife and The Truth About the Harry Quebert Affair, a mini-series for EPIX. In addition to her acting experience, Clark has directed for the New York Musical Theater Festival (Newton’s Cradle, Winner, 2016 Best Musical and Best Director), Fredericia Theater in Denmark (The Trouble With Doug, 2017), Philadelphia Opera Theater, Texas Opera Theater, Chautauqua Opera and the 92nd Street Y. She has taught in numerous universities and conservatories across the world, including Yale University and The Juilliard School. From 2014 to 2015, she served as Artist-In-Residence for Pace University in New York, where she directed a production of The Light in the Piazza. She is currently writing a solo autobiographical play which will debut later this year. Her solo debut album, Fifteen Seconds of Grace, is available through PS Classics. Clark serves on the Board of Trustees for the Kurt Weill Foundation and New York City Center. Patterned after Broadway’s Tony Awards®, the DSM HSMTA celebrate the power of the arts and its ability to significantly improve all areas of education. As the second largest program of its kind in the country, the DSM HSMTA recognize artistic and educational achievements of North Texas and Oklahoma students and their high school programs. 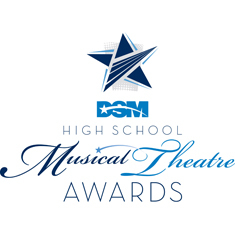 This year’s HSMTA ceremony is on Thursday, May 17, at the Music Hall at Fair Park. The evening will kick off with a red carpet event at 5:30 p.m., followed by the awards ceremony at 7 p.m. Single tickets for the DSM HSMTA, ranging from $20 to $99 (pricing subject to change), are now on sale at DallasSummerMusicals.org or by phone at 1 (800) 745-3000. They can also be purchased in person at the Music Hall at Fair Park Box Office Monday through Friday from 10 a.m. to 6 p.m. and Saturday from 10 a.m. to 4 p.m.